Mineral beauty products are my favourites. They have natural ingredients, deliver excellent effects and additionally heal the skin. They work in every situation, no matter the day or occasion. I have mineral foundations, eyeshadows and lipsticks in my collection. Read the post to learn more about these wonderful products. … yet such amazing effects. Although I’ve been using mineral cosmetics for many years, they always surprise me. They contain only mineral filters and pigments so you must wait some time before they start working; they won’t condition your skin in a day. Moreover, their coverage or durability won’t satisfy some girls. Nevertheless, mineral beauty products are worth using as their simple composition guarantees a healthy and beautiful facial skin. … is different for each of us. For some of us, they will stay on the face all day long whereas for others – a bit less. It depends on your skin type and skin care routine. Mineral foundations are a bit different from the drugstore products. Instead of water, they contain silicones that cling to skin and don’t dissolve. They’re far easier to remove because you don’t need detergent while taking them off. … no intensive conditioning effects. 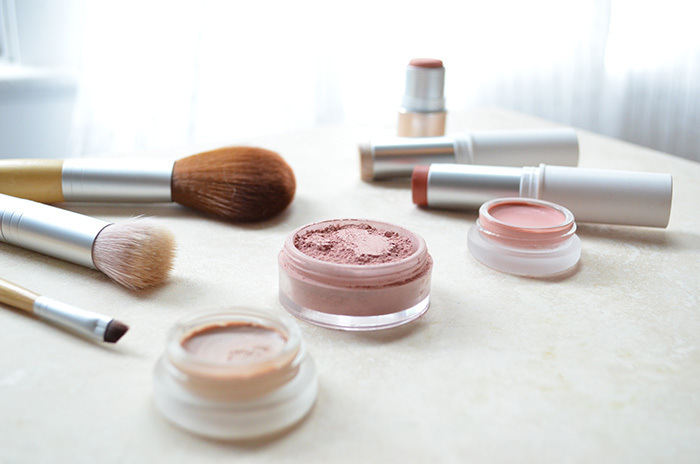 Mineral cosmetics are free from substances that would provide such action. There are no ingredients that would protect from external aggressors or prevent water loss. Therefore, mineral products can enhance dry skin cells. Conclusion? Use moisturisers to keep your face beautiful. … they don’t always work. Mineral beauty products won’t be suitable for girls going to a wedding, job interview or other important meetings. They fail to ensure full coverage or finish touch like popular drugstore cosmetics. On the other hand, you must test mineral products first and apply them the right way. You must know how they act on your face before you start using them for good. Do you also use mineral beauty products?